Legendary Kannada film writer and director R.N. 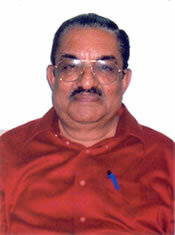 Jayagopal – my beloved father – passed away on May 19th, 2008 in Chennai. He was perfectly healthy – until two months ago. He went from being 100% to 0% – all in a matter of two months. Dad: All I wanted was to be able to spend some time with you. And talk to you – a lot! Hopefully we can do that someday – when I see you in heaven. Until then, have peace knowing that there simply couldn’t have been a greater father than you. Dad, I will always love you. And I will always miss you. You simply were the very best!